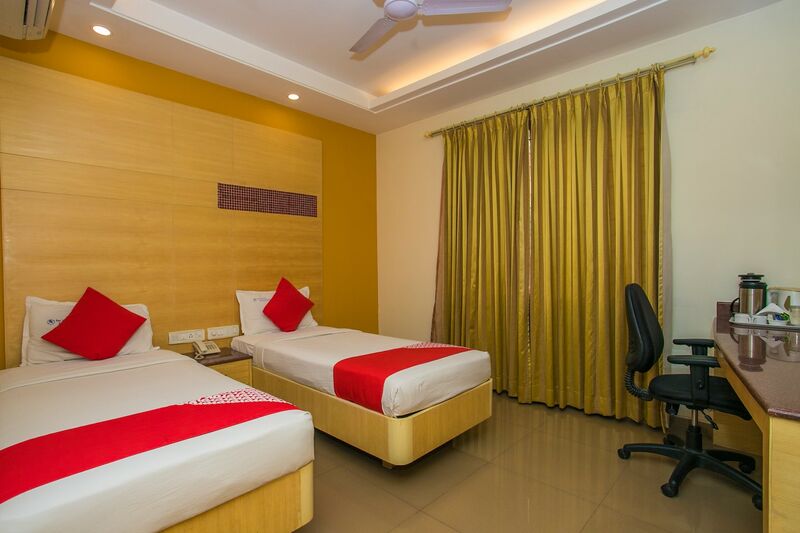 Hotel Sri Krishna International offers a range of amenities for a worthwhile stay for its various travellers. Expect a pleasant surprise as you enter your room with bright and warm wall decor, simple ceiling with elegant lighting and comfortable furnishings make for your relaxing stay. Guests can avail the service of the sitting area to relax with a view of local life. Various other amenities include free WiFi, card payment and parking space. The conference room is available for various events that the guests might want to host. Various well-known eateries are near the hotel for guests to taste the local cuisines.